An European cargo services provider seized one of the planes operated by Jet Airways in Amsterdam on Wednesday over non-payment of dues. The plane, a Boeing 777-300 ER (VT-JEW), was meant to be used for the Jet Airways' flight 9W 321 from Amsterdam to Mumbai. "The cargo agent seized Boeing 777-300 ER (VT-JEW) of Jet Airways at the Amsterdam airport as the airline could not clear his dues," an airline source told PTI. However, the airline stated that its flight 9W 321 scheduled for April 10 between Amsterdam and Mumbai has been cancelled due to operational reasons. The wide-body long-distance aircraft had landed at Amsterdam airport on Tuesday and was supposed to return to Mumbai on Thursday. Reports earlier this week had suggested that the Boeing 777 planes in Jet's fleet could be repossessed due to delayed repayments. The cash-strapped airline has defaulted on payments worth more than $18 million to its global lenders, including Citibank, which had financed its purchase of the Boeing 777s on the back of guarantees from Export-Import (EXIM) Bank of the US. Adding to its woes, Indian Oil stopped fuel supply to Jet Airways for the third time in past eight days over non-payment of dues. The state-owned oil marketing company reportedly stopped supplying jet fuel to the airlines in Mumbai, New Delhi and Hyderabad airports. Indian Oil had cut fuel supply to Jet earlier this month on March 4 and 5. The service was restored after assurances from the airline management. 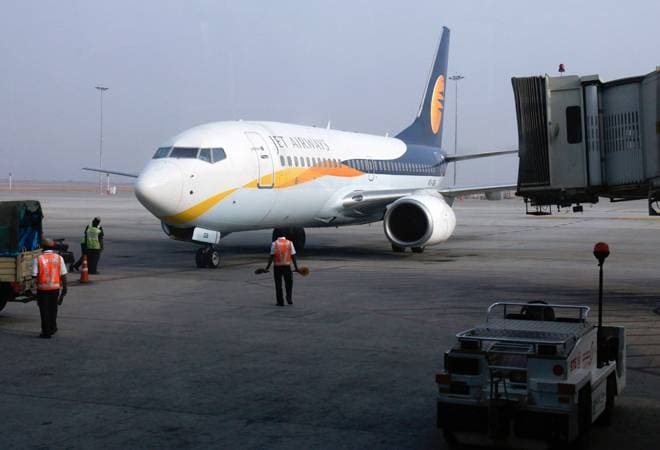 On the other hand, lenders of Jet Airways extended the deadline for submission of initial bids for stake purchase in the ailing airline to April 12. SBI Capital Markets, which issued Expression of Interest (EoI) document on April 8, has extended the deadline for submission of initial bids to April 12. Potential bidders can send their queries till April 11. As part of the resolution plan for debt-laden Jet Airways, the lenders are looking to restructure "existing facilities and infusion of funds by way of loans or acquisition, subscription of up to 75 per cent of equity share capital of the company".